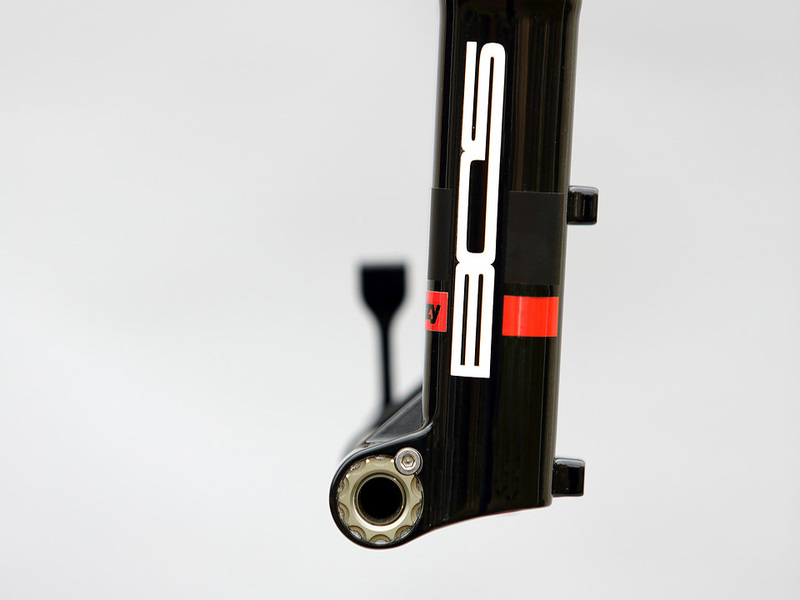 Long responsible for some of the lighter all-mountain forks on the market, French brand BOS has just announced their first entry into the cross-country market. 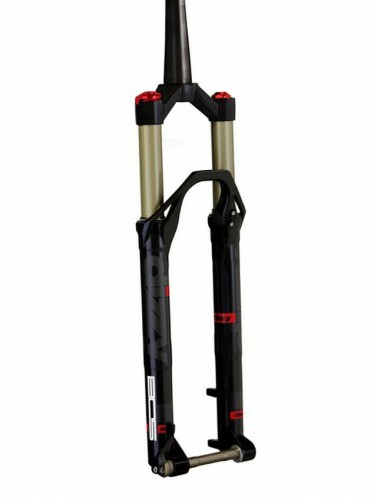 Available beginning in March for 29er wheels (later for 27.5), the 100mm or 120mm Dizzy is built around 32mm stanchions and said to be suitable for not only XC bikes, but for short-travel Enduro machines as well. The company’s closed cartridge damper was originally developed for the Dizzy – saving a good deal of weight over the company’s open bath designs – and later adapted to suit the longer-travel Deville AM. Having measured spent a good deal benchmarking other brands’ forks, BOS claims that their forks have “the lowest friction coefficient on the market,” allowing for the spring and damper to do their jobs without undue interference from mechanical friction. As has become common, the fork provides three levels of compression damping: Soft, Medium, and Hard. 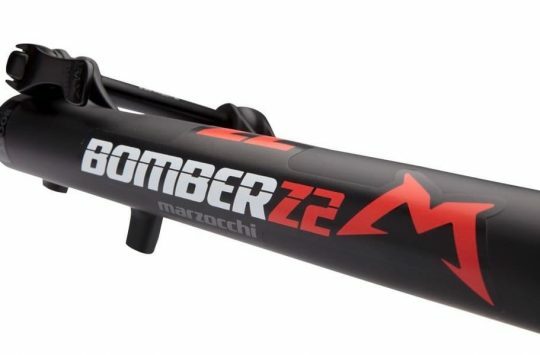 With the first oriented toward comfort, the medium setting is said to offer “a compromise between comfort, chassis maintenance and grip,” with chassis maintenance referring to the fork’s ability to stay at or near the sag point under most riding conditions. The idea is to provide good traction and control while resisting the tendency of some forks to dive excessively. Hard is a near-lockout, providing a bit of blowoff for unexpected impacts. 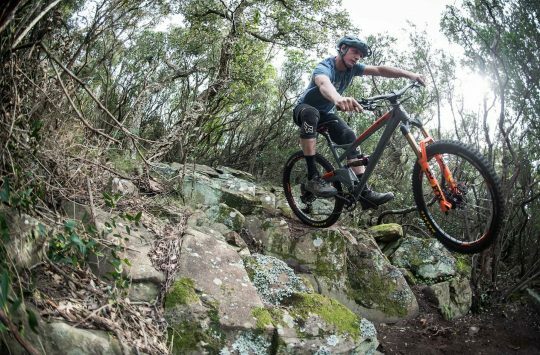 All three settings have been developed for cross-country riding rather than copied from the brand’s all-mountain or downhill offerings. 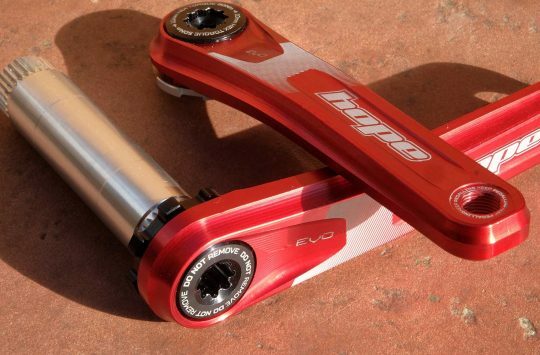 Though it will spend much of its life tucked inside of a hub, the whittled-down 15mm thru axle (shown at top) may be one of the fork’s most attractive features. 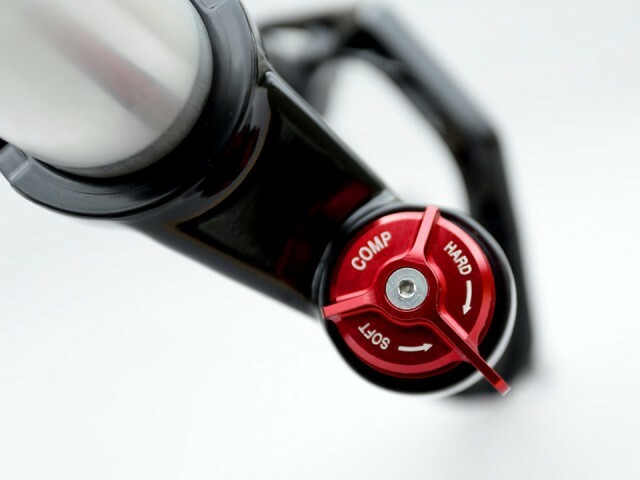 Full diameter at its ends to support the front hub, the axle is slimmed at the centre to reduce weight. 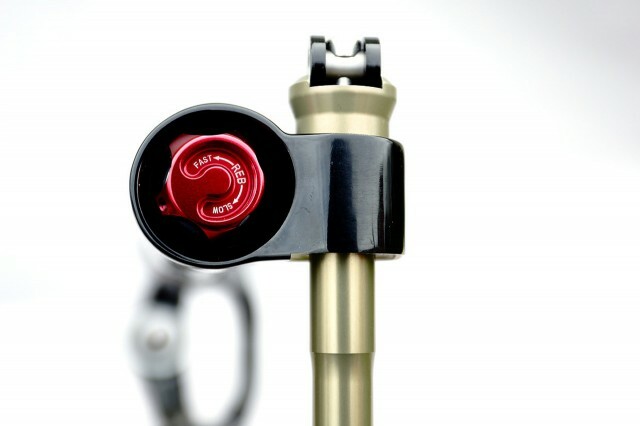 The Maxle-esque system’s anchor is similarly attractive, with a single bolt sitting in one of ten scalloped cutouts to prevent rotation and allow the user to find their preferred handle position. BOS forks have never been cheap- but with the market quickly catching up, price is less of an issue than it once was. The 1,580g Dizzy will sell for £TBC/€1,190 when it becomes available on March first. Distribution in the UK is through Jungle Products. How much!!?? Sorry, but that price is still very much an issue. If they don’t start sorting out their service and warranty part supply they’re going to ruin all the good work they’ve done in creating great forks by hacking off all their existing customers. I’ve not had any issues with my DeVilles but am dreading having to have any work done on them given the stories of woe and the multiple distributors. There’s an article that needs writing – what’s changed now Jungle are on board?